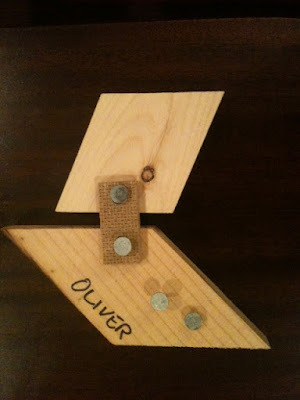 Oliver's first woodworking project at school. He loves trains and trucks with trailers, so I could see him getting interested in connecting the two pieces of wood together with nails. 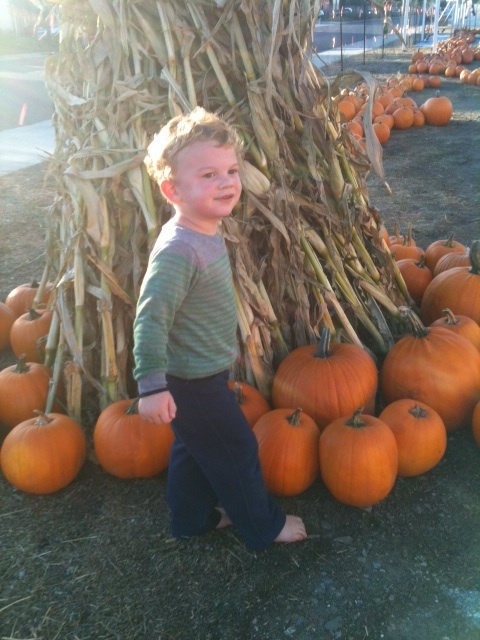 Oliver at the bounce house pumpkin patch, going down the BIG shark slide. Oliver trying out his new roller-skates. He says that he likes them, and then explains that he wants them to have a button so that they can go electronically. Doesn't want me to hold his hand (as usual). "Stop it. I mean it mama." 2. Fox on sox. Rhyming is now hilarious.